Israel Folau is to be sacked by Rugby Australia following a post the player made on his Instagram account. 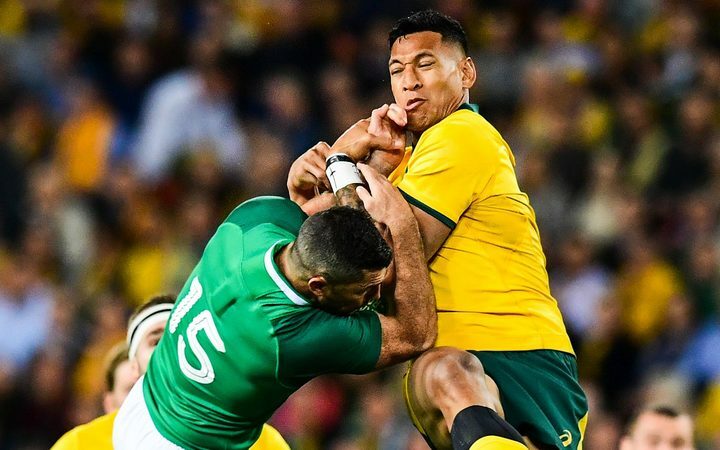 Folau, who has played 73 Tests and was seen as crucial for the Wallabies at this year's World Cup in Japan, posted on Wednesday that "Drunks, homosexuals, adulterers, liars, fornicators, thieves, atheists and idolators - Hell awaits you". "As a sporting industry, we must stand together and call out against any form of discrimination whether it is based on sexuality, race, gender or disability". We want to make it clear that he does not speak for the game with his recent social media posts. Jones said Rugby Australia was acting against Folau to shore up the continued support of major sponsor Qantas, whose chief executive Alan Joyce is gay. Vunipola's club side Saracens have said the player's comments are "inconsistent" with the team's values and they will handle the "very serious" matter internally. It was touted that North Queensland could be interested in his services after Ben Barba received a life ban and they missed out on Valentine Holmes, who's in the U.S. pursuing his National Football League dream. His actions have largely been condemned, but Vunipola made a decision to get behind Folau yesterday with a post on Instagram of his own. Vunipola wrote: "There just comes a point when you insult what I grew up believing in that you just say enough is enough, what he's saying isn't that he doesn't like or love those people". It hurts to know that. Folau also posted similar comments previous year, for which he was not sanctioned by RA, although he did acknowledge he had caused "grief to some people". Last weekend while playing for the Waratahs, Folau scored his 60th try, the most of any player in Super Rugby, breaking the record of former New Zealand winger Doug Howlett.